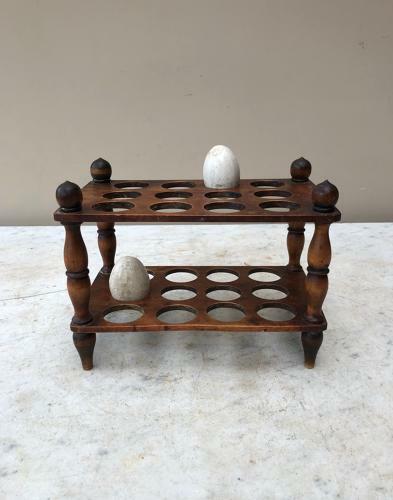 Now SO hard to find....Victorian c.1880 Wonderful Two Tier Treen Egg Rack to Hold 2 Dozen (24) Eggs. Lovely turned column supports, all without damage or worm & superb colour! Just lovely.